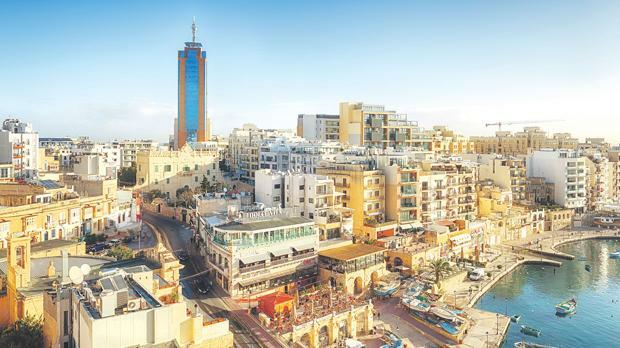 What elements attract foreign companies to Malta, Ian Vella asks. In recent years, Malta has become a popular base for online gaming companies. In fact, there are currently more than 500 licensed operators, representing more than 10 per cent of the global online gaming market. Some may argue that companies are setting up base in Malta due to favourable finance and tax incentives. While such incentives are an attractive element, they are only part of the story. ICT companies today are looking to operate in a certain culture and look for expansion possibilities and local talent. We have to keep in mind all these factors when promoting ourselves abroad to potential investors if we want to keep enticing ICT companies to set up shop in Malta. We have to identify and capitalise on what sets us apart. ICT companies tend to set up base next to other companies operating in the same sector. In business economics, this phenomenon is known as agglomeration. Companies know that their costs diminish significantly when this happens. Moreover, this proximity enables them to keep abreast with recent developments while having access to top talent. This pattern can be seen in the history of Silicon Valley when it first started to establish itself as a high-tech hub. First of all, California provided a start-up friendly legal framework. Moreover, Stanford University, which is just a 15-minute drive away, recognised the importance of offering specialised hardware and software engineering courses. These elements attracted companies to the area, effectively establishing Silicon Valley as home to hundreds of global technology companies including Google, Apple and Facebook. In Malta, the Life Sciences Park in San Gwann offers great potential, as it is within walking distance from the University of Malta, thus facilitating collaboration projects. Smart City in Kalkara also has the biggest potential economic concentration in Malta. In the last 10 years, educational institutions in Malta started offering computer and technology courses at all levels and our workforce is today very much ICT oriented. The University of Malta and other institutions recognise the current and future value of the technology industry and offer courses which teach practical skills and knowledge which is easily transferable at the workplace. Employers value such theoretical and practical abilities. Local talent is also embracing the idea of lifelong learning where employees take up courses, either locally or through distance learning, during their personal time to keep abreast with latest developments and to improve their careers and employability potential. Our Mediterranean climate is also one of our best selling points, as foreign talent will not hesitate to move to Malta to join an already established company which might be seeking to expand or one requiring a particular set of specialised skills. Life is not all about work and ICT companies value recreational activity and family life, especially for younger employees who might be starting a family and moving to a new country. Malta offers a safe environment with relatively low crime figures, while commuting time is short when compared to other countries, even when taking into consideration traffic jams. Real estate is available at competitive rates for renting and accessible prices for aspiring homeowners. Leisure activities and nightlife are also abundant and available all year round. European Union legislation is efficiently transposed while most of our commercial law is based on the British system. ICT companies don’t just look at taxation agreements and financial legislation – they also focus on protection and copyright issues. In this area much work is still needed for laws regulating patent legislation, business innovation and intellectual property protection. In order to kickstart their business here, investors would rely on our legislators to address any shortcomings or loopholes in our legal system, so they can put their mind at rest that their investment is safe in Malta. ICT companies also look at the infrastructure, networks and physical connectivity when evaluating one particular country over another. Our major road networks still revolve around the main arterial routes built during the post-war economic boom in Malta and any expansion in these years revolved along the same routes with no particular major plans to modernise our road network infrastructure through alternative modes of transportation. On the other hand, IT networking, telephony and internet infrastructure have made huge advances, including in fibre optic technology. Nevertheless a recent EU report showed that even though our networking technology is comparable to the best countries our prices are not competitive at all and may be even classified as costly. Malta’s electricity infrastructure is also improving, with new major distribution centres nearly completed or just commissioned in areas where expansion is expected. Moreover, the interconnector that links Malta to the European energy grid via Sicily gives us added reliability. Other successful countries such as Singapore and Ireland have managed to build an ecosystem of interacting and related ICT companies. A case in point is when Google decided, in 2008, to build its European hub in Dublin, in the process creating thousands of jobs. Years later, Facebook decided to open its European centre in the same area. Facebook also attracted smaller companies that work closely with it to nearby centres, including Zynga, which is completely dependent on Facebook to offer online games. 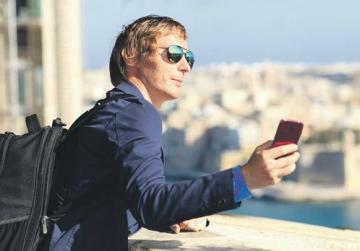 Other countries are acknowledging what these countries have achieved and some are even keeping an eye on what Malta is doing. We have to continually strive to improve and reinvent ourselves. We must also use our geography and climate to our advantage while investing heavily in areas such as infrastructure and workforce training. • Ian Vella blogs on www.ianvella.com.